Healthy Vision Month is a time during which the National Eye Institute campaigns for awareness regarding the value of routine eye care for women. Really, we all have certain risks for decreased vision as well as eye disease. What we do now could make a big difference in how our eyes age and how well we see twenty years from now. The steps we can take to protect vision are easy and therefore often overlooked. Here, we offer a brief reminder. You don’t have to eat like a rabbit to take good care of your eyes with dietary habits. Yes, carrots do happen to be good for eye health because they contain beta-carotene, a precursor to vitamin A. Studies indicate the vitamin A deficiency is a factor in poor vision. So, it isn’t the carrots, per se, but the way this vegetable supports vitamin A production. Antioxidants are also excellent for the eyes. Specifically, zeaxanthin and lutein are beneficial for eye health and the prevention of cataracts. These antioxidants and others can be found in corn, Brussels sprouts, and greens like kale and spinach. Often, we are most motivated to exercise when we want to lose weight or tone up. In one British study, researchers discovered that physical exercise is also good for eye health. During a study of more than 5,500 adults, research revealed that exercise improves blood flow throughout the body, including the eyes. Study participants who exercised at least one hour a day were 25% less likely to demonstrate poor ocular circulation. Adequate circulation through the eyes translates into a lower risk of glaucoma and optic nerve damage. Most people understand that they need to wear sunscreen when they spend time outdoors. Too much sun might give a nice glow to the skin, but it also breaks down healthy collagen in the skin and around the eyes. Furthermore, studies suggest that 5 to 10 percent of cataract diagnoses can be attributed to UV exposure. 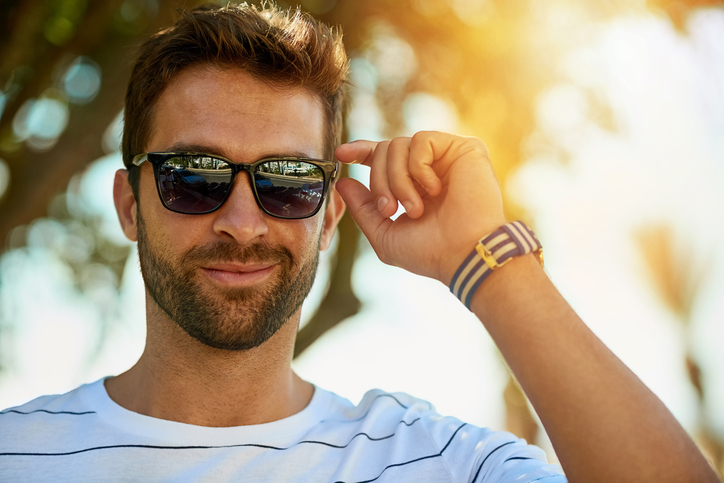 It’s not difficult to protect your eyes from too much sunshine; just wear sunglasses whenever you go outdoors. Sunglasses should offer 100% UV protection in order to be effective. Roholt Vision Institute offers comprehensive eye exams and advanced treatments for eye disease. Call an office near you to schedule your visit.